I’ll take 3rd against these awesome ladies! For those that don’t know about it, let me explain Enduro. It’s not what we call enduro in the endurance world; this enduro comes from the moto world. The courses aren’t as technical as downhill but are usually a bit more technical than cross country. The runs vary in length depending on the venue but your competitive part is getting down a hill/mountain. Then, between runs we all ride back up to the next “stage” and chit chat – this may be why I really like it! My goal with enduro is to aim towards the longer ones that are multi-day or “adventure enduros” where you really descend a mountain. I want my endurance background to come together with epic trail riding in beautiful places. I’ve always been good at the tech and I am also good at dealing with a long day in the saddle – just gotta get all that back and take it up a notch. Enduro racing is such a fun scene. 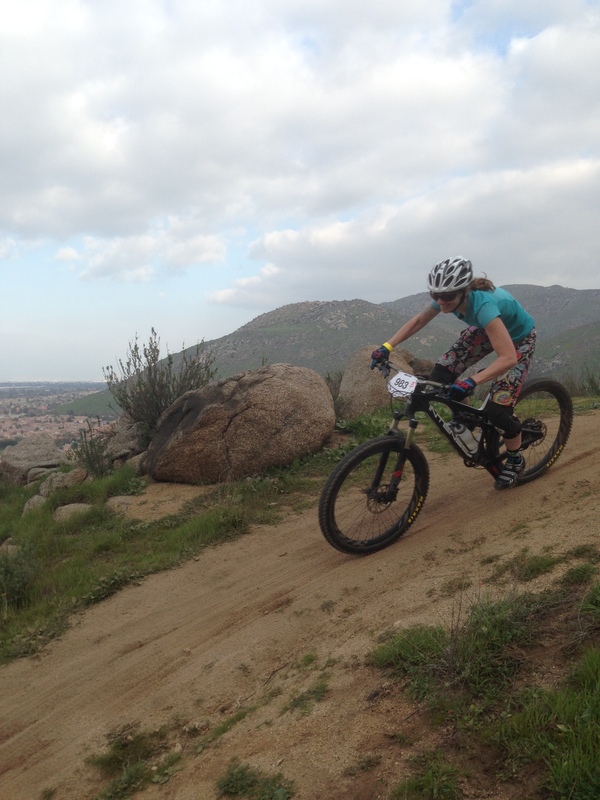 I raced this month at Southridge; I haven’t been there in something like 10 years! 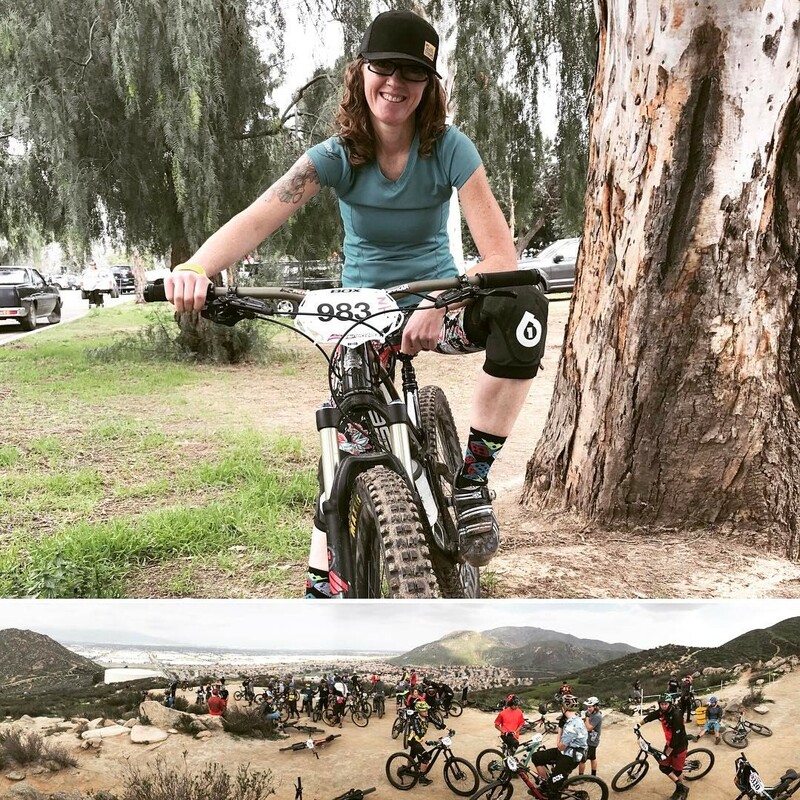 The women’s field was slim but I had some good competition: racing expert Enduro and feeling like I’m in the right place. It’s like riding a bike, right?! Southridge is a very short course compared to most and also pretty tame. It’s good off season training and it’s close by: Fontana. Riding Bikes makes me smile! Craig brought chairs and lunch and was cheering me on during the stages. It’s always more fun when you bring a good friend to celebrate with – and sometimes remind you to PEDAL when they hear your freewheel on the downhill. Stage one was kinda funky; keep in mind that I’d only ridden either of these courses exactly once. I found myself being very cautious and my main goal was to stay upright. At the end of the stage, I wasn’t all shaken up with fear – means I could have gone faster but I was holding back. I took this into stage two with the goal to push myself a little closer to the edge. The problem was stage two was super pedally, and not that risky. I got a good reminder here that I need to keep on the trainer and get my fitness back – no idea where it went but I was so winded after standing to crank the bottom of a six minute run! I hung a bit between stages with Holly, one of my newest best riding girlfriends who understands (even more than me!) about mom-hood so we get lots of laughs together. I met her teenage daughter Zoe who was there just soaking up the scene and taking pics of mom and mom’s friends while we shred. I can only imagine the great memories and impressions this girl will form about her mom and take into adulthood with her. I’ve never thought of Southridge Park in Fontana as beautiful until now! 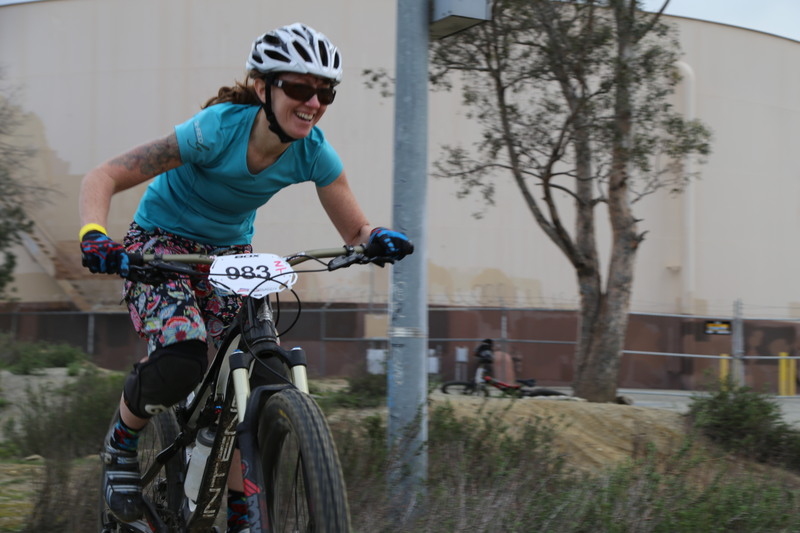 I ended up 3rd in the open women class, 4th overall with the women. Best of all, I walked away with more stoke to train and get to races. 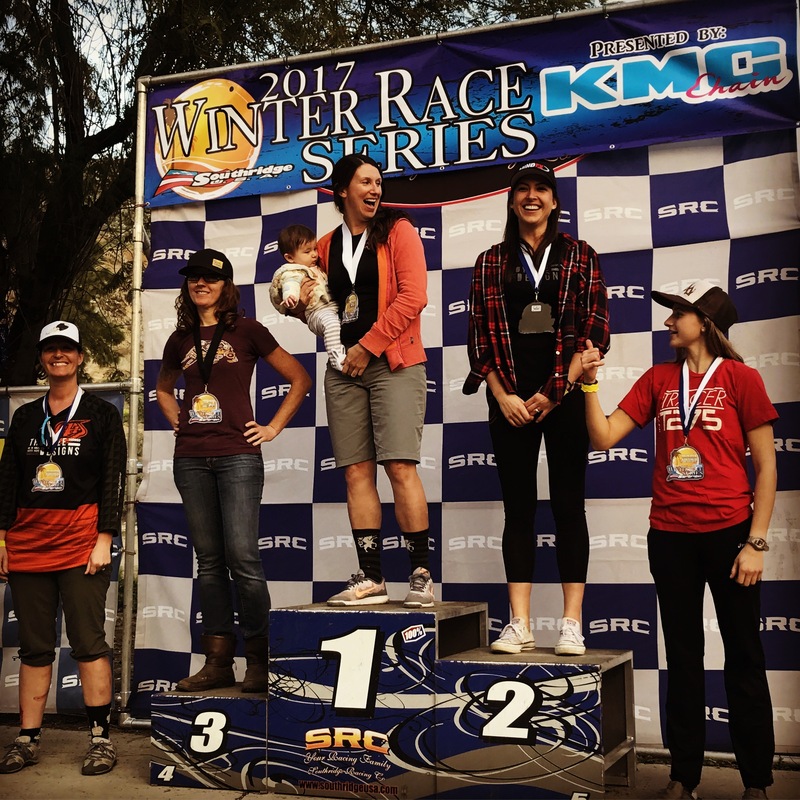 I had a lot of fun with the ladies I met and hope to keep racing against them at all the local venues! The season is starting and I’m gonna go for a lunch ride. See you all on the trails.